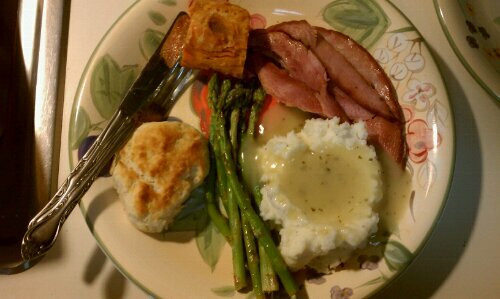 For Easter we made a really simple asparagus dish to go with our ham, potatoes and gravy. This lemony asparagus is delicious and so easy my husband could make it on his own. Cut bottom off asparagus and place in microwave safe dish with enough water to just coat the bottom of the dish. Microwave on high for about 7 minutes, or until tender. Drain water and add butter, lemon juice, tarragon, salt and pepper. Toss to coat. That’s all there is to this great recipe!